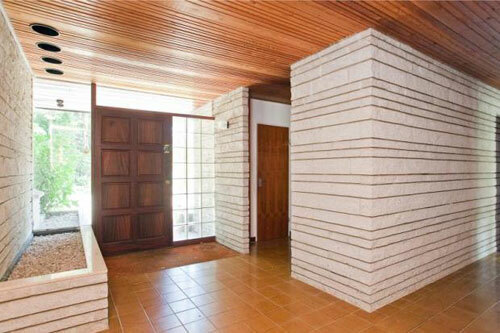 Sometimes, estate agent listings can be so frustrating. 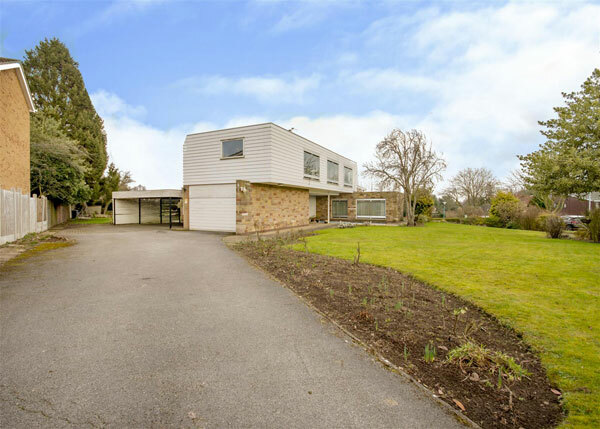 Yes, the outside space and exterior of this Claude de Vries-designed four-bedroomed single-storey house in Oxford, Oxfordshire is impressive – but we suspect the inside is probably even more impressive. 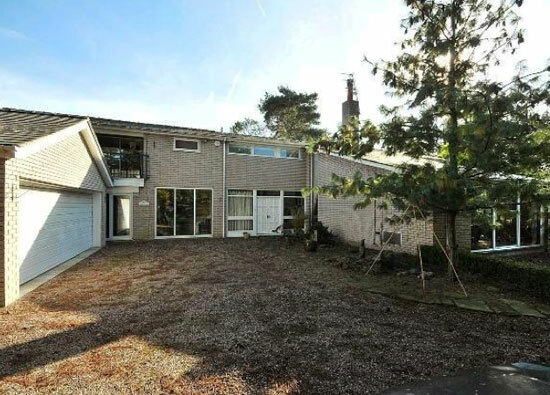 The single-storey house was built in 1976 to a ‘very high standard’ in granite composite with a tiled roof. 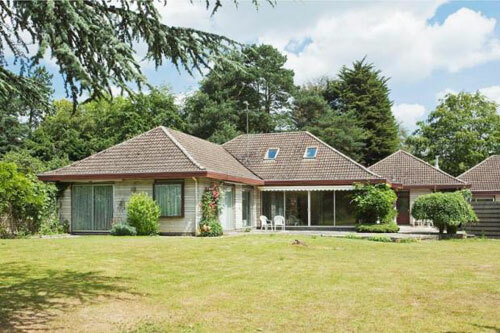 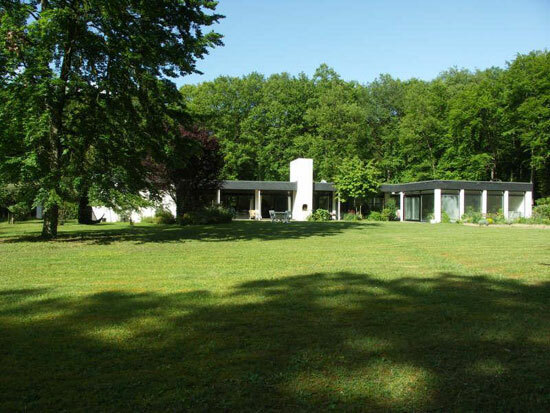 The ‘link attached property’ was commissioned by the current owner and was said to be ahead of its time, noted for its low maintenance and very good insulation, with the size of the place and the grounds of a little under an acre only adding to the appeal. 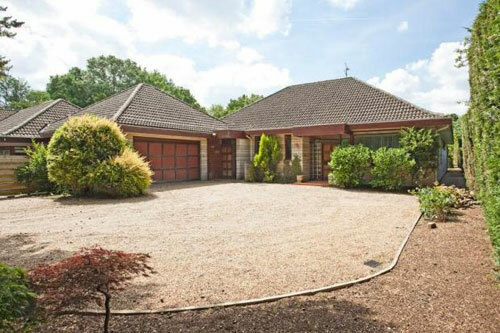 In terms of accommodation, there are five bedrooms, two bathrooms, a sitting room/dining room, kitchen/breakfast room, cloakroom, utility room , boiler room, two loft rooms and loft storage space, Outside are the gardens, a double garage and additional parking space over that 0.85-acre space. 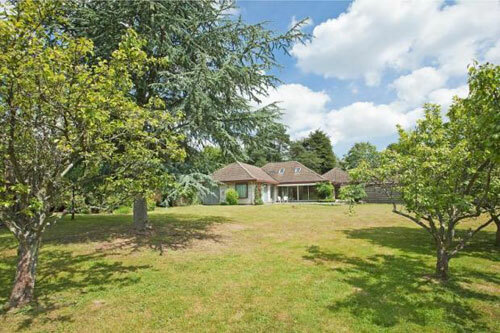 Period features abound too, mention of a glass-brick half wall to the front door, raised planters, pine clad ceilings, fitted cherry-wood cupboards and (would you believe) a hostess trolley all whet our appetite as to what the interior is like. 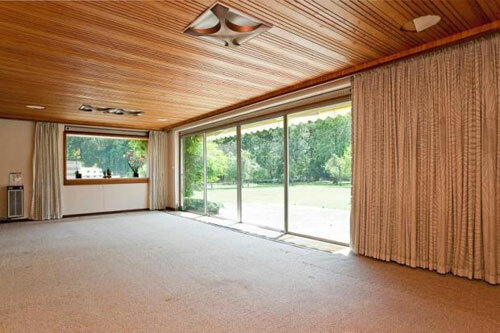 The couple of photos shown hint at a 1970s obsessive’s dream – check out those ceiling lights. 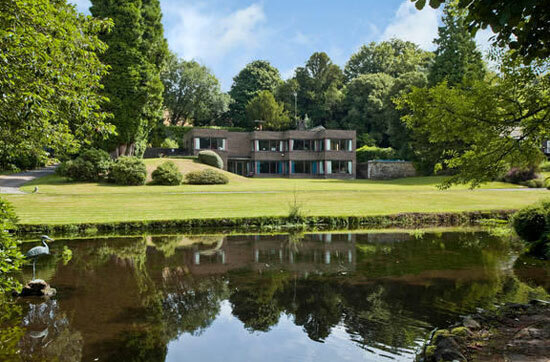 See the listing for a full breakdown of just what is included for the asking price, which happens to be £825,000.